When it comes to improving our offering, looking at what people search for on GOV.UK is one of the best ways we can understand what you want from government information. The search box allows you to articulate what you want in your own words - and this data is easy to interpret, unlike a lot of the number-based metrics. With our analytics package, we can quickly and easily look at what you're searching for on each individual GOV.UK page. Our content pages are designed to appear high in external search engines like Google, so that you can click on a GOV.UK result that meets your need, find out what you want to know, then get out of GOV.UK quickly. When people use internal search, it’s an indication that they haven’t found what they’re looking for first time. By analysing these results, we can make GOV.UK better for you. For example, on the page 'your contract and working hours', we found that we’d left out information about taking rest breaks. By looking at search terms we discovered we’d left this information off the page, and lots of people were searching for it. Our content team recently embarked on a mini-project to look at the top 100 searched-on pages, find out what information was missing by analysing the search terms, and then include this information on the page. We didn’t want to get bogged down in big or complex changes to the site - we just wanted to help the most users we could in the shortest amount of time. We ignored Departments and policy pages and first-level browse pages. We also left any major changes out of this round of tweaks. For example one of our findings was that on many of the passports pages, people were searching for ‘second passport’ - 735 searches across GOV.UK in November. People can apply for a second passport if they travel a lot and need to apply for visas while traveling. 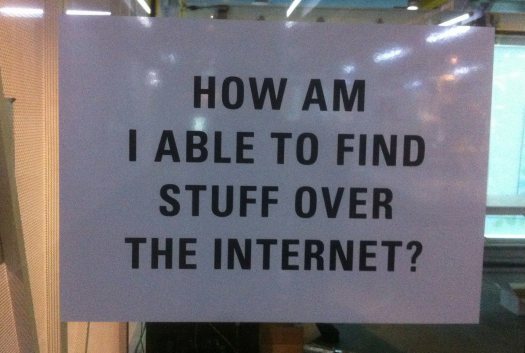 We’ve identified this as a need that should be added to GOV.UK. In the end, we made changes to 41 pages in the top 100 list. The process was quick and effective - we scanned the search term report for each page and noted what we could add to content to meet that need. We then formed a crack team and made the changes in the space of an afternoon. The whole exercise took less than a day of 6 team leads’ time. ... The results were good. The pages we changed have had around 30,000 fewer searches in the 30 days following our changes. We can’t claim to have prevented all of these searches, as overall traffic to the site decreased by 9% in November. We’d expect searches to decrease proportionally, but searches on the 41 pages have decreased by an average of of 21%, so we’ve definitely improved the content. Searches only increased on two pages, and the highest increase was 6%. We'd say that these results support our initial thinking that small tweaks = significant improvements for our users. A lot of the improvements connected different but related needs that were already on GOV.UK - we added links to content or browse pages and allowed people to navigate between them easily. For example car tax is one of our most popular pages (the fourth most popular in November). After taking a good look at the search terms used on this page, it turned out that over 5,000 people were searching on this page for SORN, which allows you to surrender your tax disc so that you don’t have to pay vehicle insurance. But SORN information wasn't housed on the car tax page. We covered this need by putting a link to the SORN page in the related links on the car tax page. 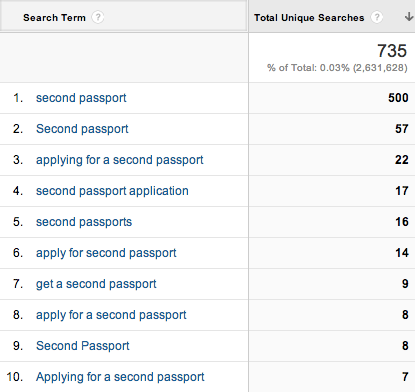 Searches for SORN went down by 95%, and searches on the page as a whole went down by 44%. Browse pages featured highly in our top 100 searched-on pages. If browse pages are working properly, you should be able to follow descriptive link titles and summaries, and easily navigate through the site to get to the right content page. Sometimes we misjudge how people will interpret these link titles and text summaries - we are only human, after all! For example, on the browse page Benefits Entitlement we provided a list of links to generic benefit pages like how and when your benefits are paid. As it turns out, people were searching for benefit-specific information such as ESA (Employment Support Allowance), on this page, so we included a few of the most searched-for benefits on this browse page. The result? Searches on this page went down 29%, equal to nearly 1,800 searches. We're really pleased with the success of this little project, and it really shows how small changes can make a big difference to our users' journeys. I'm concerned that my Jan 2014 article response, which constructively identified user problems with Government search, has now been removed. My comments were polite and I thanked you for your response in a follow on post. Does gov.uk only publish positive comments? Hi Andy. What date was the comment made? When we moved the blog to GOV.UK on 16 January we did lose some recent comments - which we mentioned in a post on that day (https://gds.blog.gov.uk/2014/01/16/a-new-home-for-the-gds-blog/). If your post adhered to our moderation policy (https://gds.blog.gov.uk/terms/) it wouldn't have been removed, but unfortunately some comments were lost in the move. Of course you are more than welcome to re-comment, and I apologise if your comment was lost during the site migration. If you do think it was removed rather than lost (if it was posted after 16 January 2014) please do let me know and I will investigate for you. Wow, I am reading your profile with my mouth open wide. I would like to say, well done to you all on the GDS team. You are the first government office/department that I have come across that are able to work as a team and get a job done so quickly. I would love to give you all a group bonus if I was in charged of your department. It would be nice if we has such keen workers within other government department or the motorway maintenance workers who are as keen as your team. Thanks so much for your support - it's much appreciated and I'll pass on your comments to the wider team. Hi Diane, we use Google Analytics, and get this data from the 'Search pages' report. Hope this helps. Thank you, Lana. I have been trying to get this information for a while now. I'll be diving in today to see what I can find. You said, "With our analytics package, we can quickly and easily look at what you’re searching for on each individual GOV.UK page." What are you using to get this information? Thanks for the comment, Fiona. I've looked into both internal and external search data to see if we needed to make any changes, and found that the demand for updating your details with DWP is extremely low as a percentage of all users wanting to change their address. There were almost 53,000 searches on GOV.UK from January 2013 to January 2014 relating to a change of address, and most of those related to things like driving licence, passport, log book, v5, provisional licence, V5C, DVLA, vehicle registration, car, tax disc and car tax. The most popular DWP-related search was for ‘change address council tax’, which only had 62 searches across the year. The phrase 'change address DWP’ had 40 searches across the year. We also looked at external search data through tools like Google Trends, SEMrush and Google AdWords. They were all consistent in telling us that searches related to 'change of address' brought up DVLA-specific queries such as driving licence and address change DVLA. Thanks for your comment. I've passed your query over to the content team, who'll look into the user journey in question. I have tried to see how easy it is for out customers to find out what changes they need to inform us of and how they would do this and it is not simple. Searching for changing address bring up information about HMRC and DVLA but not DWP. Hi - Yes I'm anxiously searching for official word on the 'second passport' issue as well. It's great you've identified the need - but I'd sure like to access the page. Not only would it help applicants - but it would also be useful when explaining to others (from outside UK) that holding two passports is completely legitimate. I just searched for the term "second passport" but could not find anything on the result list that was relevant. Am I missing something? 01: You that you add a "How to search" page (with an icon somewhere near the search bar) to educate users on how best to use the search facility on gov.uk. Web developers assume everybody knows how to use a search engine/feature. 02: You have an additional tab to the result page to show similar common search terms. Great job so far guys. Keep up the good work and have yourselves a very Merry Christmas. Hi Michael. We don't cover the second passport need yet, it's on our 'to do' list. Thanks for the suggestions - we're continually iterating search and browse and finding out what people want with research and data so will keep these in mind. Merry Christmas! Excellent post.This article make me remember that quote "Need is the mother of inventions" 🙂 Thanks for sharing such a great info here. Keep it up!! Thank you. I'm forever cheerleading for Team GDS and it's because of articles like this and your constant drive for innovation. We're experimenting with Google Custom Search at the moment and loving it. Why use another search engine when they're the masters of the effective algorithm - and it ties in with Analytics beautifully. Hi Dave - thanks. Yes, we need all the help we can get without referral keywords! It's great to see the work you are doing to improve the internal search for http://www.gov.uk. I sit on the Local Directgov Programme Board so am down in London every other month. Hopefully I can tie in a visit to say hello. Hi Alan. It would be great to compare approaches - I'll send you my email.